Dining room is the best place to show off stunning tables. It is where you take your family and guests for gatherings and everyday breakfast, lunch and dinner. So, yes, it is indeed the best place to put your beautiful wooden table on display. 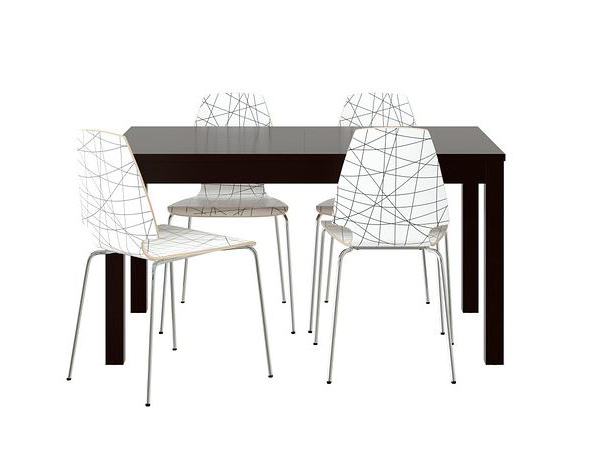 The place where everybody can appreciate and marvel at your lovely dining room table and chairs collection. 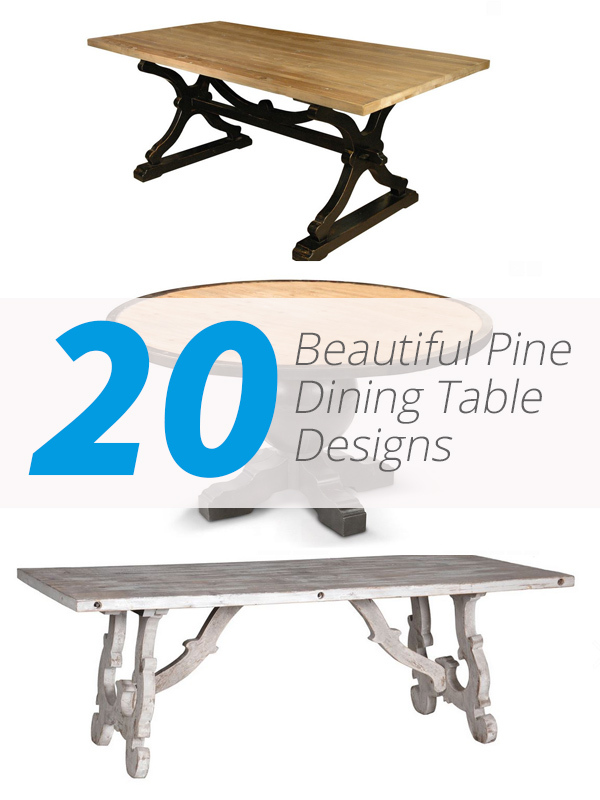 Today, we gathered a collection of 20 pine dining table designs to suit your home setting. 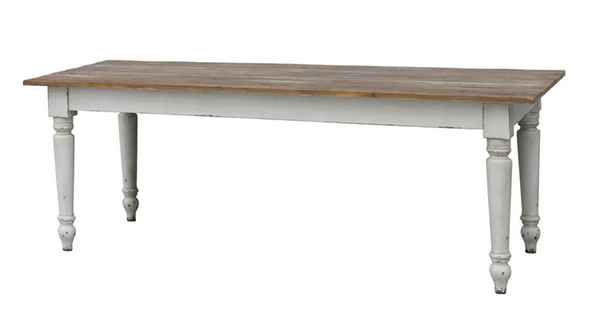 We have collected a variety of styles, ranges from contemporary to rustic and industrial. These lovely dining tables are all built using pine wood, both simple and beautiful. 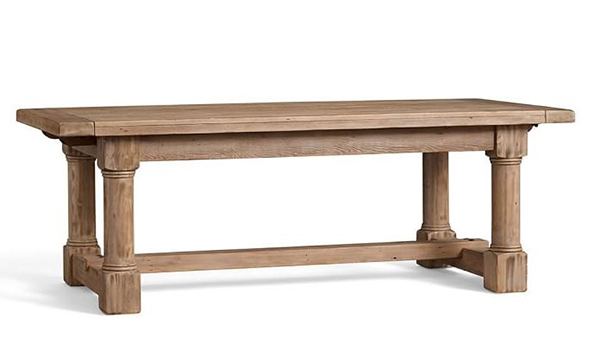 Clean lines and warm wood tone are the usual characteristics of Pine dining tables. It is perfect for those who love a warmth and inviting dining room ambiance. See for yourself and browse through our list of dining tables made with Pine. 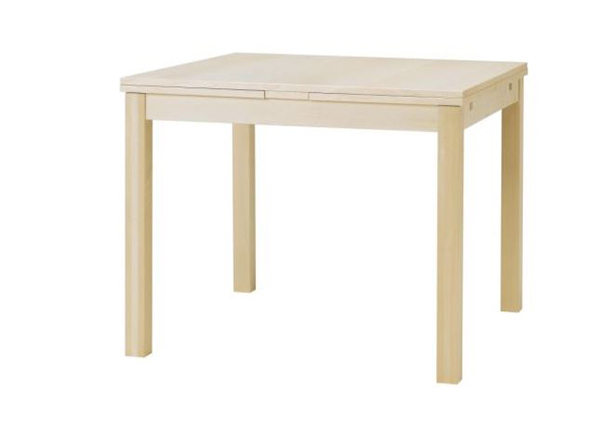 This simple dining table features clean lines and has extra two pull-out leaves giving you a practical utility surface that you can extend whenever needed. 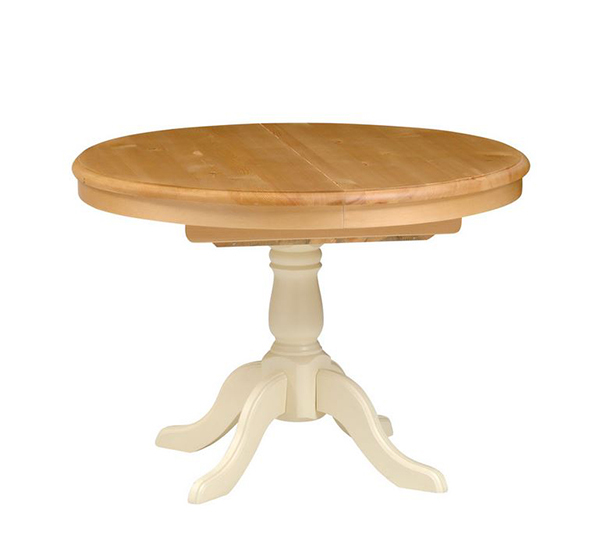 Bring an intimate feel to the dining room with the help of this charming, round Winchester dining table with natural wood top. 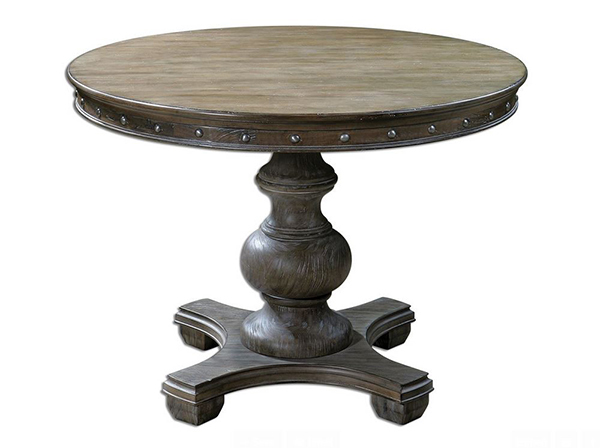 Add a delightful touch of rustic elegance to your home with this pedestal dining table made from one hundred percent distressed pine wood in dark stain finish. I love the sophistication and beauty of this reclaimed pine dining furniture modeled after an early 19th century, English refectory table. 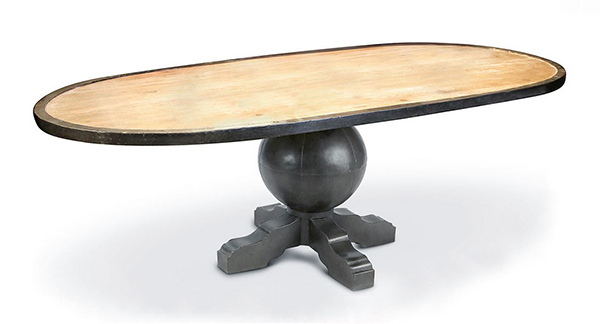 Give your dining space an eclectic charm with this oversized, oval pine top on a spherical muted off-black base. Simple with clean lines and dark wood finish absolutely stunning that will work well with modern or traditional chairs, whichever style you have. 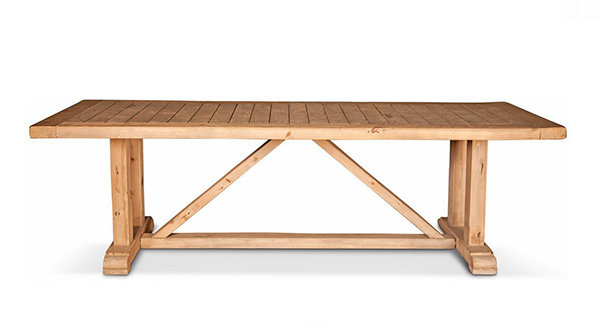 This charming and elegant pine dining table offers a relaxing atmosphere to your home. 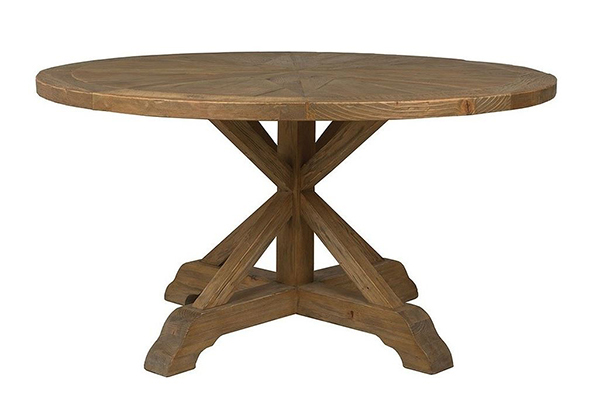 A pine dining table with strong features making it a bold statement for your dining room. A lovely furniture made from reclaimed pine with a pristine distressed white finish lends an exquisite ambiance to any dining area. 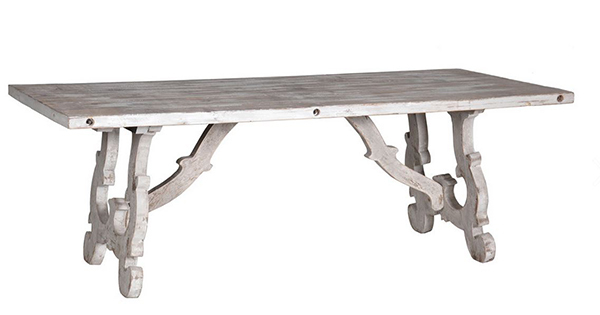 Add a rugged charm to your home with this early American-inspired furniture. 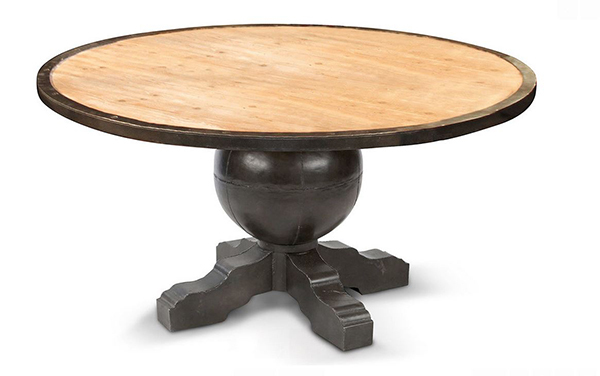 Bring early French and American architecture flair to your dining space with this eye-catching furniture. 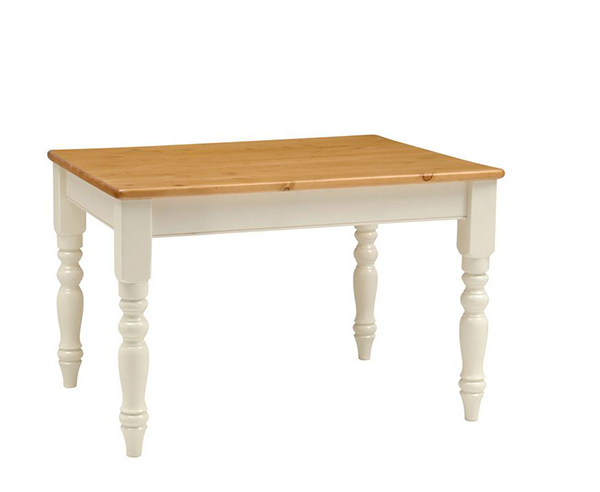 Add a French-inspired, trestle style pine dining table to your room for a casual and relaxing country atmosphere. 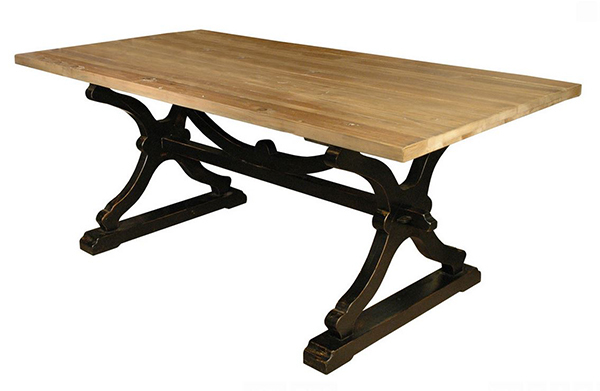 This furniture has an inspired historical design and was handcrafted of solid reclaimed pine timbers from over 100 years old buildings, will lend French elegance to any space. 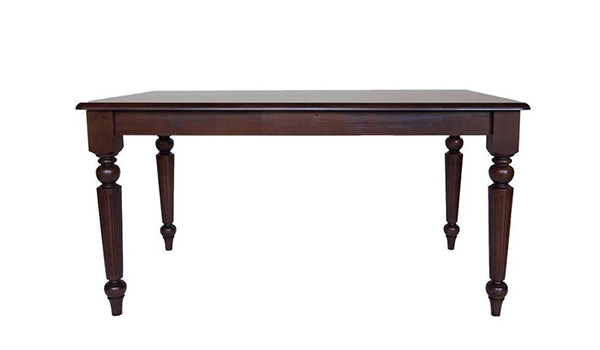 Its beautifully turned legs and arrow feet make this furniture a gorgeous statement for your dining room. 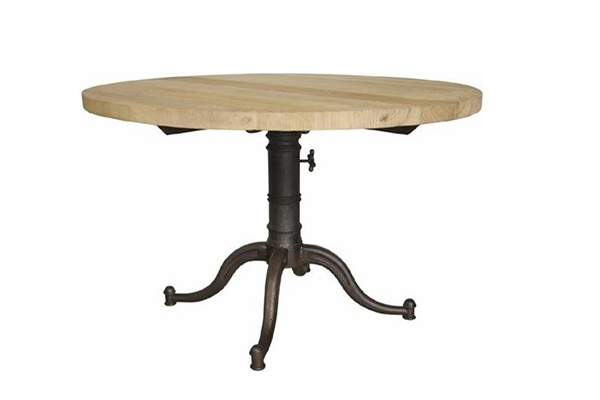 Bring an industrial flair to your modern homes with this round furniture in a bright pine top contrasting beautifully with the muted off-black round base. Bold and intriguing, this furniture with table top made from reclaimed pine paired with old factory machine parts will be a one-of-a-kind room centerpiece. Get all rustic and eclectic at the same time with this unique and sturdy furniture made from natural pine with carved apron and silver nail accents in gray washed finish. Two columns for the base, finely carved pine legs support and hold the pine table top in a tour de force depiction of strength and prowess. 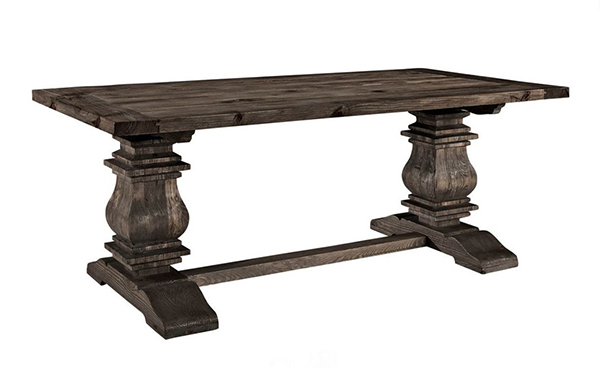 A stunning addition to any dine-in room that will bring an ancient time aura. Whether you have a modern or a country design style dining room this rustic furniture will fit right in and grab the attention it deserves. 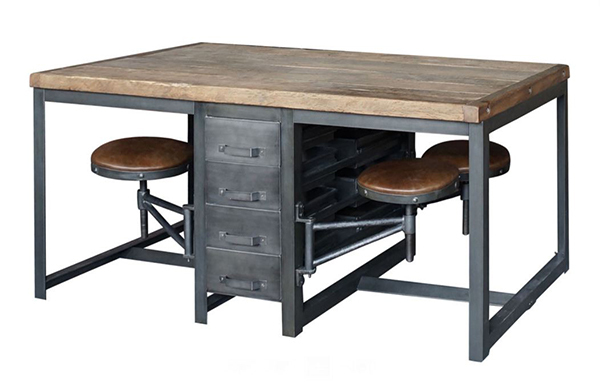 The unique combination of metal and old pine works well in this furniture giving it an industrial charm. Pine is one interesting kind of wood that gives us a lot of decorative furnishings. Dining tables are of those things that we can create from it. It’s beautiful color of soft white or sometimes pale yellow give its relaxing charm. 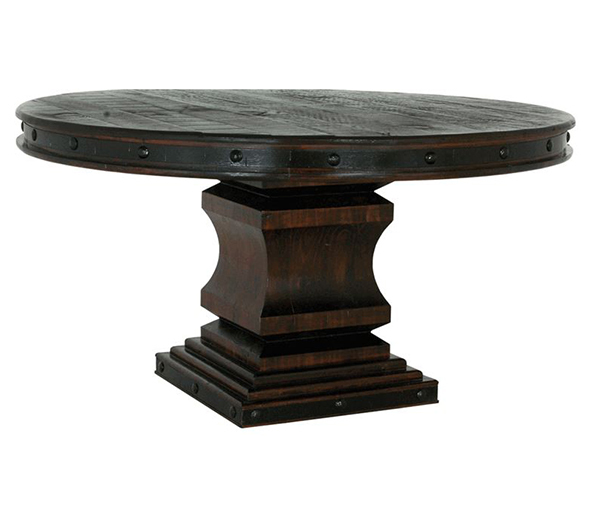 Those dining tables on our list with darker colors are painted or has undergone treatment. Nevertheless, it is the quality and the stunning creations that make this interesting wood genus a star. 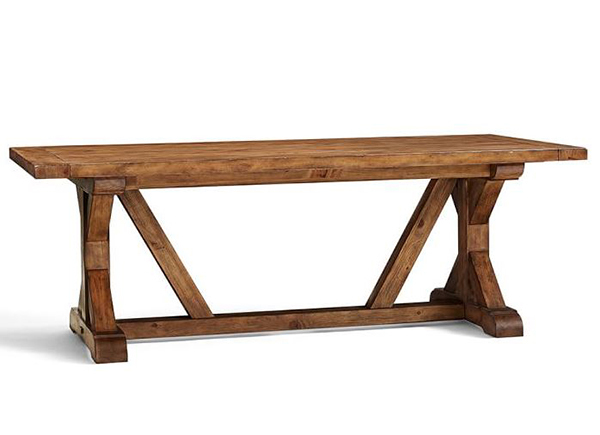 I bet you found a favorite on our list of pine dining tables . Do not forget to let us know!